Not span, Bought a new Jag F-type and I met with Tony from service. He provided a great service ! Rated wrongly earlier. Tony and the service department are outstanding. They do an amazing job of taking care of their customers. Well-done Jaguar! Detailed on line diagnostics, friendly, and informative. Tony's personal touch welcomes the customer and assures us that we will be taken care of. Service team is awesone and take great care of their customers. By a car from them and you won't regret it! Great staff and awesome buying experience! 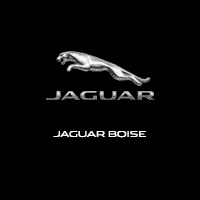 Jaguar Boise deserves 5 stars for many reasons. Making an appointment was very easy and the email/text reminders were helpful. Upon arrival, Tony was ready for us and we left our Jag in his capable hands. Throughout the day, I received text messages regarding the status. Upon completion, we found the service top notch and reasonably priced. I grew up “helping” dad at his import car shop in town. I can handle normal repairs and I was pleased to see Tony didn’t object when I said I will do the brakes. I will definitely bring my Jag back when the work is above my abilities. Tony is great. He knows me and my vehicle and he is always helpful. My appointments are quick and easy with no issues. He takes the time to explain everything that was found during the service.